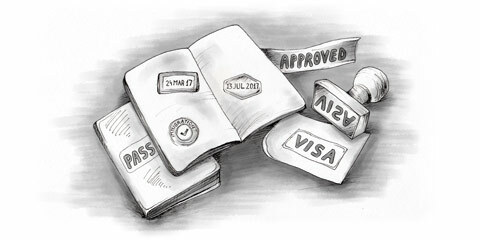 The procedure of authentication depends on your country, but it is usually through a notary or the Ministry of Foreign Affairs. Most of the time, your local Embassy or Consulate in Panama won’t be able to do it, so it’s important that you authenticate all the documents that you might need before you leave. For the Member States of the Hague Convention, the requirement for legalization of foreign public documents, also known as the Apostille Convention, has been replaced by just one stamp. Note that the Panamanian Authorities require an Apostille and do not accept other forms of authentication/legalization for people coming from one of the signatory states to the Apostille Convention. The apostille doesn’t certify the content of the document, but certifies the signature and correctness of the seal on the documents. Official certificates which are placed on documents signed by persons in their private capacity, such as official certificates recording the registration of a document or the fact that it was in existence on a certain date. Andorra, Angola, Anguilla, Antigua and Barbuda, Argentina, Armenia, Aruba, Australia, Austria, Bahamas, Barbados, Belarus, Belgium, Belize, Bermuda, Bosnia-Herzegovina, Botswana, British Virgin Islands, Brunei, Bulgaria, Cayman Islands, China, Colombia, Comoros Islands, Croatia, Cyprus, Czech Republic, Djibouti, Dominica, El Salvador, Falkland Islands, Fiji, Finland, France, Germany, Greece, Grenada, Guernsey, Honk Kong, Hungary, Ireland, Isle of Man, Israel, Italy, Japan, Jersey, Kazakhstan, Latvia, Lesotho, Liberia, Liechtenstein, Lithuania, Luxembourg, Macedonia, Malawi, Malta, Marshall Islands, Mauritius, Mexico, Monaco, Montserrat, Mozambique, Namibia, Netherlands, Niue, Norway, Panama, Portugal, Romania, Russia, St. Christopher and Nevis, St. Georgia and South Sandwich Islands, St. Helena, St. Lucia, St. Pierre and Miquelon, St. Vincent and The Grenadines, Samoa, San Marino, Seychelles, Slovenia, Solomon Islands, South Africa, Spain, Suriname, Swaziland, Sweden, Switzerland, Tonga, Trinidad and Tobago, Turkey, Tuvalu, Unites Kingdom, United States, Vanuatu, Venezuela.